We believe it’s possible to make learning come alive for all students. We believe our students are capable of amazing things when given the opportunity to reveal their strengths. A spirit of promise infuses everything we do. From preparing the next generation of teachers to investigating the most challenging issues facing our schools, we believe our students, educators and communities possess incredible potential. We aren’t afraid to try new things. To innovate. To break through what’s been done and reimagine education. Together, we can change education in our region so all our young people see their futures filled with promise. 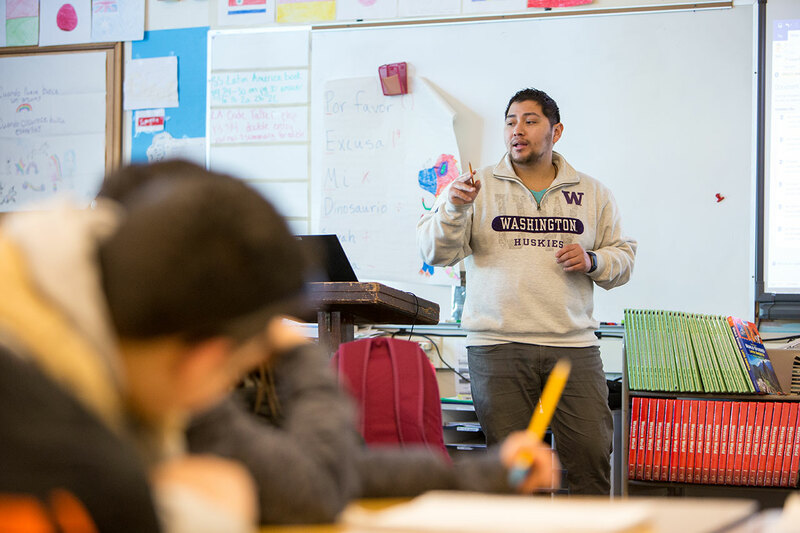 "When I found that other schools didn't have a specific multicultural education department the way we do at UW, I saw my opportunity to impact mixed race students. The letters behind my name will show that I have the knowledge and research to backup the importance of my work." "From Hill Tribe students and teachers in Thailand to youth in community and court schools in San Deigo, your support has made possible my ability to work with these groups while remaining in school. " "I found the cohort-based Leadership in Higher Education program to be a powerful space to build community. To this day, I am very close with people who were in my cohort, even those who have graduated." Learn more about the latest research from the College in our current edition: "Centering Justice"